Quickly take a look at our general availability over the coming months. You can find fully detailed availabilty updates via our blog here! 24th - 27th Aug '18: Unavailable! 22nd Sept - 07th Oct '18: Annual Holidays! 17th - 19th Nov '18: Unavailable! 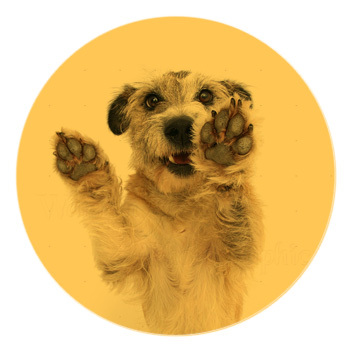 Visit our shop – Ollie’s Pet Boutique! brands! Browse & shop below! Dog Toys – Squeak, Chew & Fetch! We provide you & your pet with convenient trustworthy experienced professional petcare, 365 days a year! ello and welcome to Ollie’s Petcare, the home of the sausages Ollie & Penny! We provide you & your furry friends with a fun dog walking service in Ratoath, Ashbourne & the Dublin localities; pet sitting for your cats, dogs, small animals and birds; plus home boarding for your pooch – your family pet can come and stay in our home while you are on holiday – so they can have a pawsome holiday too with us! 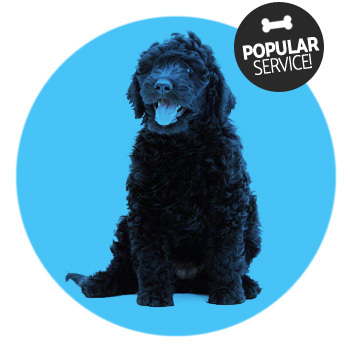 We hope we have provided all the information you need here on our website to help make the decision to choose us – Ollie’s Petcare, to look after your pets! If you need any further information that we may have over looked please do get in touch and contact us here. You can also find out more about me, Jonathan the owner and daily operator plus our team on our about us & team pages! Group socialisation & custom/individual walk sessions tailored to your pooch from Monday to Friday! We offer three session times per day for group walks, lasting between 45 – 60 minutes; so we’re bound to have one to suit you & your dogs schedule! Tick if you would you like to receive our newsletters! Get our newsletters 'Sausage-Mail' from Ollie's Petcare & Boutique direct to your inbox with offers, news, updates & woofs - all very sporadically. We'll follow up on your enquiry usually within 24 working hours. Do remember an initial meeting/visit has to take place before any services commence. Get more info on the 'How does it works?' page! Are you going on holidays or going away for the weekend? Then pet sitting could be the choice for you & your per. Pet sitting is where we visit your home while you are on holidays or away and look after your pets in their own home! Being in their own environment means less stress & anxiety for your pet and less worry for you! If you’re going away on holidays and feel that pet sitting or kennels are not suitable for your pet then home boarding could be the choice for you. Home boarding is where your pet comes and stays with us in our home with our pets and as part of our family for their stay! 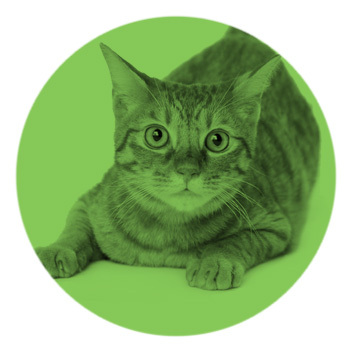 We also provide our four pawed clients with lots of unique products & tasty treats in our online store - Ollie's Pet Boutique; stocking new brands to Ireland like Fellipet, Pooch & Mutt, Fat Cat plus supporting Irish brands Soopa & EcoMutt; plus many more! Great experience with Ollie's Pet Boutique. My order arrived really promptly all wrapped up in pretty tissue paper with a lovely note attached thanking me for my order. Great service. Well done. Ollie’s Petcare is a fun professional petcare business owned & operated by Jonathan & Thomas; we provide dog walking, pet sitting and home boarding to pet owners in the Meath and Dublin localities, as well as having our new dog boutique offering great products to pet owners worldwide! We love all animals and when Ollie, our minature dachshund arrived, we found the lack of services available for us and him in the Dublin area spurred us to start Ollie’s Petcare - to provide help to other pet parents who find themselves in the same situation as we did! Ollie & Penny want to recommend their services & products. Meet our colleagues & friends. Want to keep up to date on all our news & information? 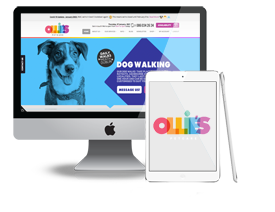 Pop your name & email in below to receive the latest Ollie's Petcare & Boutique news, offers, stories & product arrivals direct to your inbox. "Nurture & Care, When You're Not There' is what we provide everyday for each and every pet in our care. We provide our furry clients with pet sitting, dog walking and home boarding all in the North Dublin & Meath areas! We also have our online Boutique stocked full of delicious treats & fun toys for your pooch that you won't find on the high street! Bookings open for Christmas/New Year 2018! Find us in Ratoath, Co. Meath, Ireland. …or you can contact us here! © 2010 - 2018 www.olliespetcare.com, JPS Design & Layouts | All Rights Reserved. Note: We are on Easter holidays from 20th - 22nd April. All services are back to regular from Tuesday 23rd April! We use essential & non essential cookies to ensure that we give you the best experience on our website. Are you OK with this?I AcceptNopeGet More Info!